Weekly Zooma publishes ‘stat of the week’, which we believe can be useful to you. 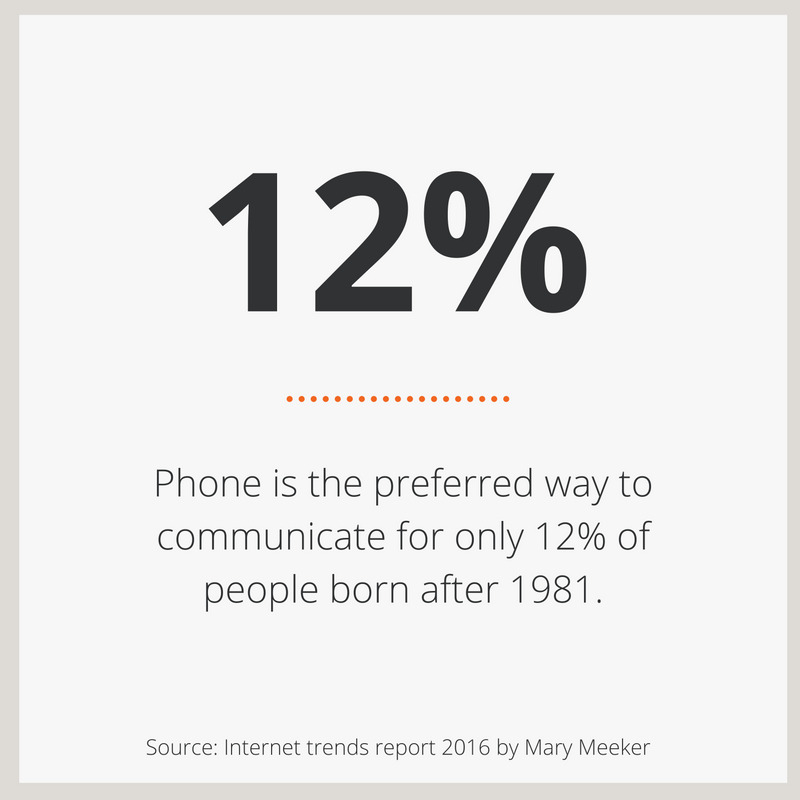 This time it’s a stat about the most preferred choice of communication for people born after 1981. Phone is only the 5th most preferred way for this target group to communicate. The preferred choice for them is: Chat (24%) and social media (24%). Email (21%) and apps (19%) all come way before phone (12% vs. 64% for people born 1945 to 1960). Are you prepared?